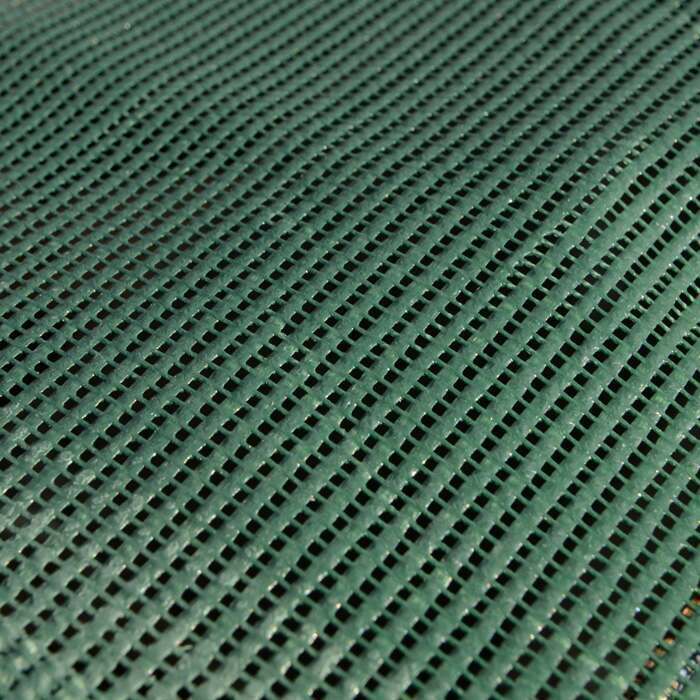 Ultra Heavy-Duty Mesh Skip Nets manufactured from 300GSM extruded mesh available in five sizes. Fully edged with 1 ½ inches of PVC. Brass grommets are placed every 3ft around the skip nets edges. 8mm thick elastic tie cord included. 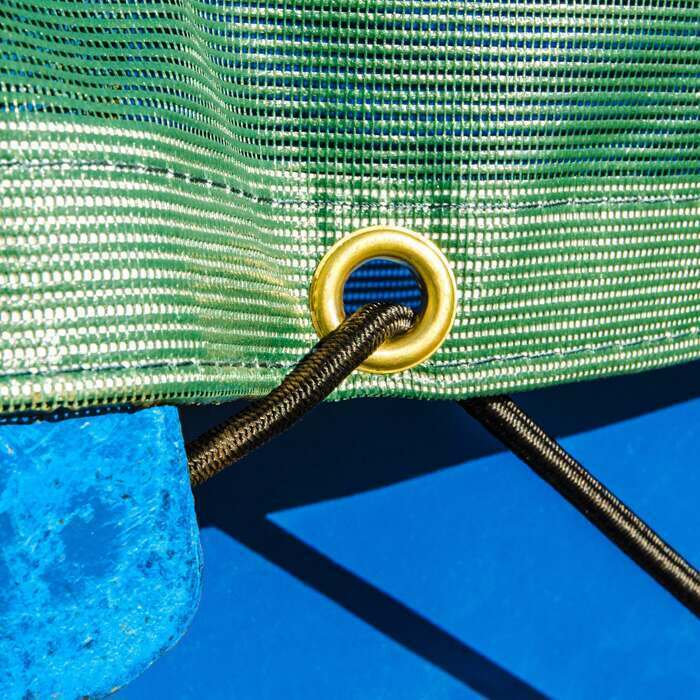 High-quality bungee ties and brass eyelets help tightly attach this net to your skip. These ultra-durable components work together to create a tight bond between your skip and the mesh net, which is not easily broken. Constructed from weatherproof extruded polyethylene, the 300GSM net of this skip cover will not allow even the smallest of debris to pass through, ensuring nothing can fall out of your storage container while in transit. To increase the strength of this ultra heavy-duty mesh skip net, its edges are reinforced with 1 ½ inches of PVC coating. 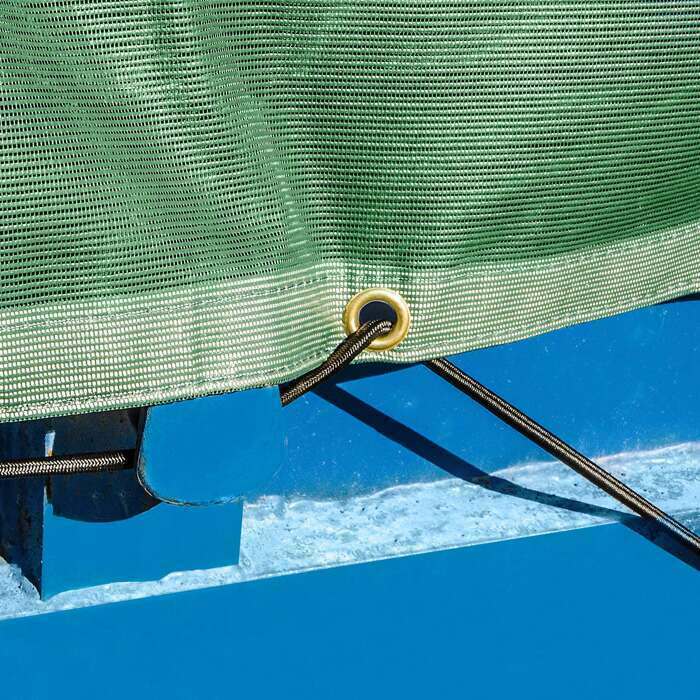 This additional edging prevents the storage containers netting from becoming ripped during windy conditions. Manufactured from 300GSM polyethylene, this high-quality skip net is the best way to prevent even the smallest debris falling out of your storage container while on the move. Fabricated from extruded material with minute mesh squares, this netting guarantees the contents of your skip will always remain within your container. Suitable for use throughout all weather conditions, this premium skip netting is also weatherproof. This ultra-durable netting will not corrode after prolonged exposure to heavy rainfall or intense sunlight, making it ideal for outdoor use. Constructed with an 8mm thick elastic bungee tie which is threaded through this net’s brass grommets, you can rely on this ultra heavy-duty skip netting to stay tightly attached to your storage container, regardless of how fast you are travelling. To increase the strength of this skip netting and prevent any potential tears, this net’s edges are coated in 1 ½ inches (4cm) of PVC. Adding this extra layer of plastic guarantees this storage container netting will maintain its shape, regardless of how long it is attached to your skip. Net World Sports stocks a wide range of premium industrial netting which will increase the level of safety within your warehouse or building site including Rack Netting [Ultra Heavy-Duty], Brick Netting and Ultra Heavy-Duty Tarpaulins [500GSM].